YouTube has transformed the way an average internet user finds information and communicates with other people. It has attracted companies by providing free hosting and making videos easy to share and discover. The same goes for YouTube-clones like Vimeo or social media platforms like Facebook. Even though using these platforms may benefit your business under some circumstances, you should be aware of their limitations and pitfalls. Free platforms are financed by advertisements. 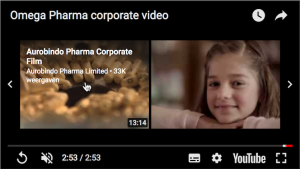 Any number of ads may be displayed before, during or on top of your videos. They may be ads from competitors or contain content that is offensive or otherwise inappropriate. Even worse may be the related videos, which are automatically selected by YouTube’s algorithms and displayed when your video ends. Although not immediately recognizable as ads, these may be the result of paid advertising. They can lead viewers to a competitor or to other unrelated video’s, leaving them to forget about your company’s video completely. What’s more, your website visitors only have to click on the player’s YouTube logo to disappear from your site altogether. While they continue to watch your video on the YouTube site, a selection of related videos provide a permanent temptation to click away. 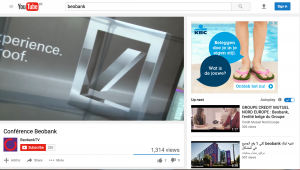 Ads and related videos on the YouTube site can belong to competitors or may be inappropriate. Finally, there is no way to set up your own ads and related videos. Section 4 of YouTube’s Terms of Service prohibits you from including any promotions, sponsorships or other advertisements in your videos. When you upload a video, you grant to YouTube a worldwide, non-exclusive, royalty-free, transferable licence (with right to sub-licence) to use, reproduce, distribute and prepare derivative works of that video (see § 8.1.a of YouTube terms of service). This includes using your video for promotional purposes in any media formats and through any media channels. Moreover, you grant to every YouTube user a royalty-free licence to use, reproduce, distribute and prepare derivative works of your video through YouTube (see § 8.1.b of YouTube terms of service). This allows each individual, organization or competitor to use your videos for his own purposes. In summary, you lose your ownership rights for all videos you place on YouTube. Even if you decide to delete a video afterwards, copies or derivative videos may continue to exist on YouTube. The look and feel of the YouTube player is identical for every video. While this strengthens the YouTube brand, it is no good for companies promoting their own brands. 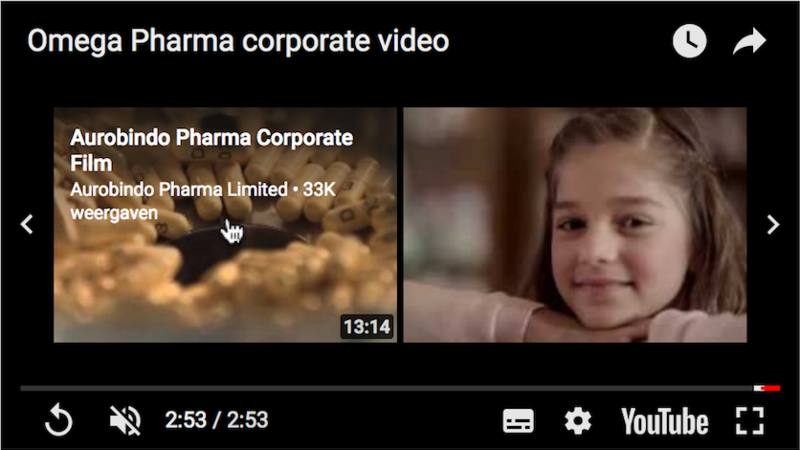 When embedded on your company website, the YouTube logo must be in the bottom corner of your video (as required by YouTube’s terms of service). This way, a clearly visible link to YouTube is always part of your video, allowing viewers to leave your ecosystem by just clicking through. An enterprise video solution should allow companies to fully customize the style and behavior of your players, add call-to-actions and other interactive elements. Not only does custom branding help you promote your company and its brands, it also adds a level of professionalism and authority. This will help your company to intrigue prospects and retain them in the long run. YouTube makes it easy to share video to a broad audience but offers no security options. There is no way to control who can access your videos or how they are shared. YouTube also doesn’t support geographic shielding based on country, domain name or IP address. By exposing enterprise videos on a publicly accessible video platform, your content can be viewed or downloaded by anyone who knows the URL or accidentally discovers it. A true enterprise video platform should allow you to share videos to a restricted audience, and determine who can access and download specific videos. YouTube requires your live broadcast to be configured according to their specifications, which may make it difficult to tune broadcaster settings like latency, bitrate and quality. Its live management interface lacks tools for quick troubleshooting and event management. An enterprise solution should allow you to easily configure broadcast quality, set geographical restrictions, schedule start time and show interactive messages during the event. It should also give your more control over your digital video recording, editing and publication to on-demand. 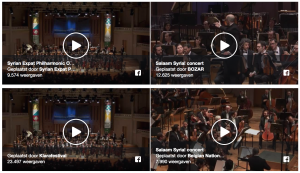 These days enterprise video solutions should support simulcasting, which allows you to automatically distribute your broadcast to multiple social media channels (e.g. Facebook pages, Twitter, Twitch) and CDNs, allowing you to maximize your reach. Production, management, distribution and integration of enterprise video has many different aspects. In addition, it is a rapidly evolving matter that requires a variety of knowledge and experience. YouTube offers a SaaS platform but doesn’t provide any support. For things like interactive video, adaptive transcoding and live streaming, quick and reliable support seems no unnecessary luxury. An enterprise solution should offer support for integrating live and on-demand video into your enterprise environment. Clevercast goes one step further and also offers services to help you producing on-demand videos or live events. YouTube has no mechanism to collaborate on videos that haven’t been finalized or approved. A YouTube video can only be accessed from within a single user account, which only has a single set of credentials (username and password). Everyone who needs to work on a video, update its metadata or simply preview it, will need to have access to those credentials. There is also no way to separate access for different (kinds of) videos in a single YouTube account. If someone has access to a single video, she immediately gets full access to all other videos in the YouTube account. YouTube’s user interface is not optimized to operate on large quantities of video content or videos with a long duration. Working with large amounts of video should be faster and more intuitive. Different types of ingest, like FTP uploads, are not available. An enterprise video solution offers powerful tools to perform bulk actions on video items, users, players and playlists. Tags and metadata make it easy for administrators to organize and search your video library, automate playlists and filter analytics data. Similarly, YouTube determines unilaterally in what quality your videos will be transcoded, which advertisements and related videos will be displayed and how your videos will be served. YouTube also reserves the right to stop your live streams without prior notice, for example due to a copyright infringement. Simply broadcasting some background music which YouTube considers as copyrighted, may be sufficient to have your live stream terminated. For an example, see this article about YouTube blocking video’s in Finland with certain music due to not immediately reaching a licensing agreement with a local performance copyrights agency. 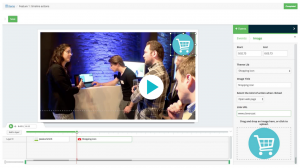 Looking for a real enterprise video platform?